During the discussions with our client, we put on the table three possible levels of optimizations. Each of those had to be evaluated based on costs and value added. All three optimizations had to be put into a financial model so we could figure out the financial reasoning behind each stage of the project. The replacement of existing, standard lighting with LED-based lighting cuts the energy consumption costs by 70% on average. Considering the investment to be done, we calculated that full return on the investment would be achieved in 5 years. So – there clearly was a benefit in undertaking the replacement. Hence, we had to proceed with discussing the next step – the most efficient management of the new LED-based lighting. After we calculated that full return on investment would be achieved in 5 years, the next question came up: was it possible to cut the energy costs even more, increasing the efficiency and hence, getting return on investment within less than 5 years? Of course the first options we came up with were controlling the dimming of the lighting on a set schedule, as well as turning the lighting on and off at sunrise / sunset. Those, however, required additional hardware, which brought the cost of the investment upwards. We also figured out that by controlling the lights in groups we could achieve a further 25% reduction of energy consumption costs. Thus the payback period would be reduced from 5 to 4 years. There obviously was a benefit in using light control on a group level, so this option had to be considered as well. With the smart management on a group level we would achieve substantial cost reductions. But, was it reasonable to also consider smart management of each single light fixture? This appeared to be a really attractive and innovative solution, but required a more complex controller and communication with each single lamp, which increased its cost by 15%. And if we were looking to implement motion-based lamp control (a common business decision), then we needed an additional sensor into each separate lamp – i.e this further increased the costs. We estimated that costs would increase with 15%, but we also had to evaluate the resulting increase in efficiency from financial perspective, i.e how much would energy consumption get reduced and was this figure significant enough? To help answer this question, we had to look at the importance of street lighting for the residents’ safety and comfort. Imagine you are walking in the central part of the city, lit by a super smart street lighting. 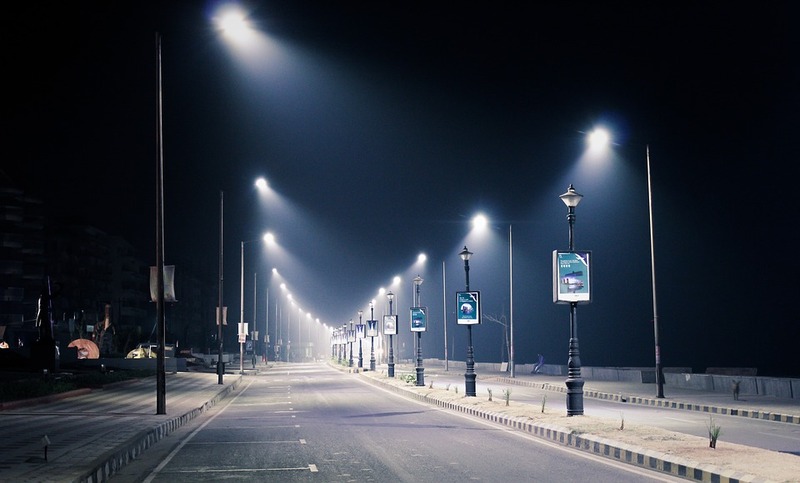 With every step you make, one lamp in front and one lamp behind you get turned on, all other street lamps are completely turned off (energy efficiency) or working at minimum capacity. The close vicinity around you is well lit, everyone can you see you in the dark, but you see nothing beyond the close vicinity. Would you feel safe? Obviously not. At this point we realized that, in addition to being energy efficient, the street lighting had to meet a major social requirement – contribute to the safety of the residents. We had to look for a balanced IoT solution – a solution that was energy efficient while at the same time instilling a feeling of comfort and safety in the residents. Hence, the option we decided to go for was managing the street lights on a group level only. This customer case shows that smart and innovative IoT technologies, however tempting, should only be used in accordance with the requirements and goals of the project. And when we talk about smart cities, we have to take into consideration not just the potential financial benefits we may achieve, but also the resulting change in lifestyle, with its positives and negatives. Find out more on this and other IoT solutions consulted and developed by IndigoVerge.